← Was Jesus Really Born on December 25th? When I look in the mirror, I see many things. I see a woman who has reclaimed wholeness after childhood trauma. I see a breast cancer survivor who is thriving. I see a happy and contented wife. 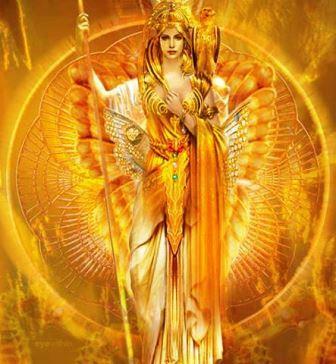 And I see a high priestess of the renaissance of the divine feminine. What does a modern priestess look like? Do they wear robes and special jewelry? Will you find them in sacred temples and at sacred sites? The modern priestess is as diverse and individual as today’s women are, and we each hold the capacity to embody the priestess within ourselves if we so choose. Formal initiations, trainings, and ceremonies are available in myriad forms by a wide range of teachers and leaders, but they are not required. I chose a path of initiation and ordination thirteen years ago that served me well as I learned to access my inner landscape and began my path of becoming conscious of the true being hiding behind the human pain and suffering. That path is a lifelong journey, and I’m grateful for that auspicious beginning. Having been involved in circles of women and priestesses for many years, both as participant and facilitator, I released them all when I moved to Maui in 2006. I was called to Maui to work with the Divine Feminine Institute, and that felt like a new manifestation of my contribution as a priestess… more practical and less esoteric. While my outer priestess morphed into an administrator, my inner priestess continued to have initiations and give birth to her priestess arts in the form of the book and body of work known as Reclaiming Aphrodite. The Divine Feminine Institute came to a close, and breast cancer brought new insights and inquiries about my work in the world. Reclaiming Aphrodite is currently at rest, though the book continues to be offered as a $4.99 Kindle book. The imagery and symbolism of my years of priestess work continue to feed and embrace me. Honoring the dark time of the year (in the Northern Hemisphere), I find myself in a space of not-knowing. A cauldron or womb space, where what is gestating has not yet been born. My previous work has fallen away, and what is next has not revealed itself. I’m grateful to have some work to do in this interim time, work that I enjoy and that I’m good at and that supports a dear friend in her contribution to the renaissance of the divine feminine. My commitment to myself is to be with and in this state of not-knowing without pushing for answers or imposing my will. This is my greatest takeaway from my breast cancer experience: I trust that all will be revealed and that I will be perfectly guided. 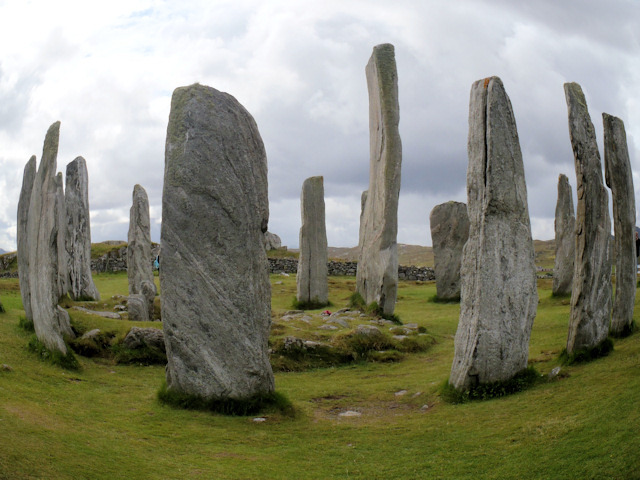 I’m experiencing a growing excitement as I answer a call to the depths of my priestess being to attend a very special gathering in Scotland this spring at the Callanish Standing Stone complex. I knew the moment I read the announcement that I was supposed to be there, and I set my intention to have it happen. Originally, I thought I would go alone and just to Scotland. This trip has now evolved into my first ever exploration of Europe with my husband. We’ll spend a few days in Amsterdam, Belgium, and Paris before heading to Scotland for a few days in Edinburgh. Then we’ll drive to Inverness for a night and fly to the Isle of Lewis, northwest of the Scottish mainland, to the tiny two-airline airport in the town of Stornoway. The week-long, expertly facilitated event will be held at the Doune Braes Hotel in Carloway near the Callanish Standing Stones. Unlike Stonehenge, Callanish is not fenced off, and is accessible to the public. The event is very reasonably priced to make it accessible for people, and between that and airline miles, I’m able to pull this off. I’m very grateful for this opportunity to connect to my Celtic roots and heritage, not just in my ancestry, but also in my priestess lineage. I sense that there is important information for me in this sacred place. I anticipate a magical time of deep connection with my priestess self, the land, the stones, and with the community of people I’ll be sharing this experience with. If this gathering calls to you, please click here for more information. What do you see when you look in the mirror? I welcome your comments below and I respond to every one of them! 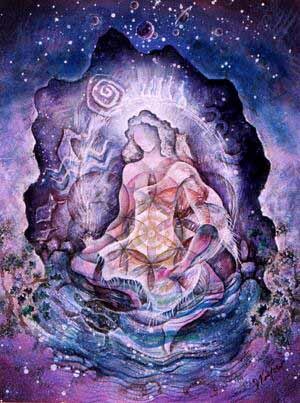 Wishing you a very expansive and abundant 2014! This entry was posted in Amrita, Priestess, Responding to Invitations, Sacred Feminine, Standing Stones, The Solar Feminine and tagged Celtic, high priestess, Sacred Feminine. Bookmark the permalink. It’s been a long road for me to get that piece, Mary! I’m reminding myself too… and I’m glad that serves you. Blessings! Wowee, wow! Callanish Stones, I just went on line to view them and their scale is amazing. You are wonderful and I love how you are guided. blessings dear Priestess and husband!